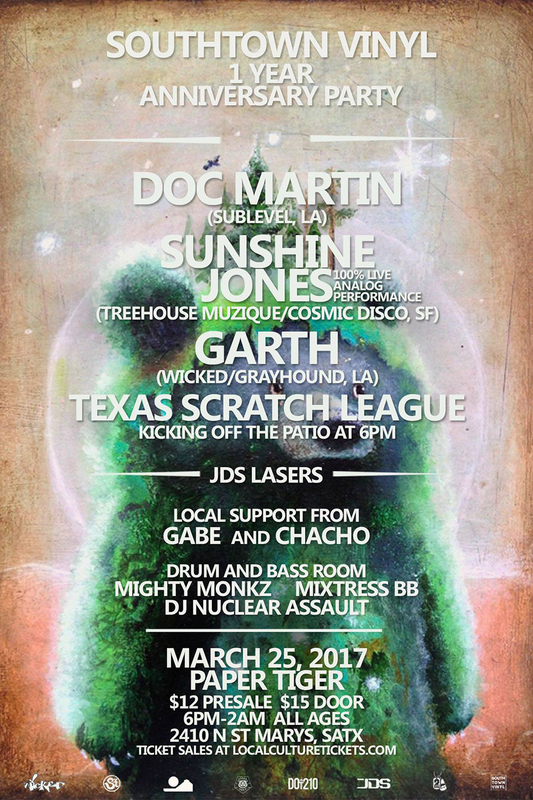 On March 25th 2017 I have the distinct privilege of heading back to San Antonio to celebrate the 1 year anniversary of Southtown Vinyl with Doc Martin, Tommy Newman, Chacho, Gabe, Garth and more! This is gonna be a blast. If you missed out on my live tour, or caught it and totally loved it, you gotta make plans to make the scene in San Antonio!